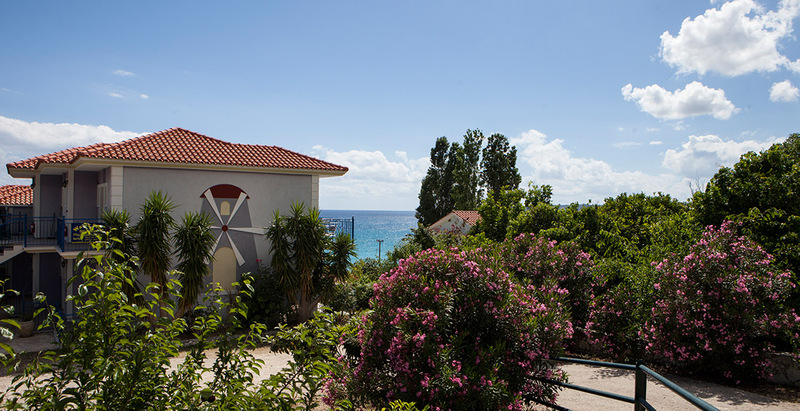 Waterside studios and apartments in the picturesque Lourdata village in Kefalonia, is a stunning waterfront property, just few steps away from the golden sandy beach of Lourdas. 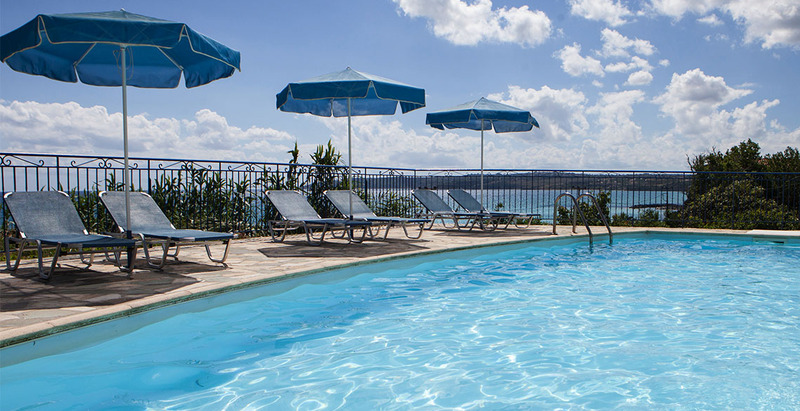 If you’re looking for a holiday apartment or studio in Kefalonia, providing facilities for demanding visitors, in our property you will find everything you need for a relaxing holiday. For many years now, our loyal customers are highly satisfied with their stay and keep on returning to their favorite retreat in Kefalonia. The cozy décor of the apartments and studios, inspired by Kefalonia’s vivid spirit, will make you feel like home away from home. 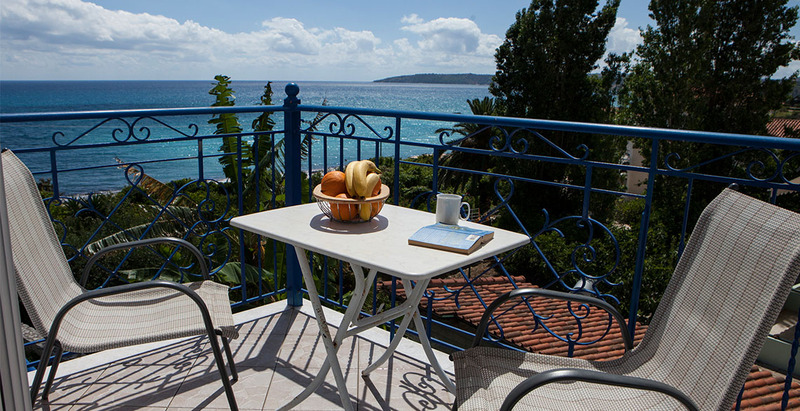 Accommodations offer infinite view to the Ionian Sea from the southern edge of Kefalonia, a bliss you can enjoy from the privacy of your balcony! 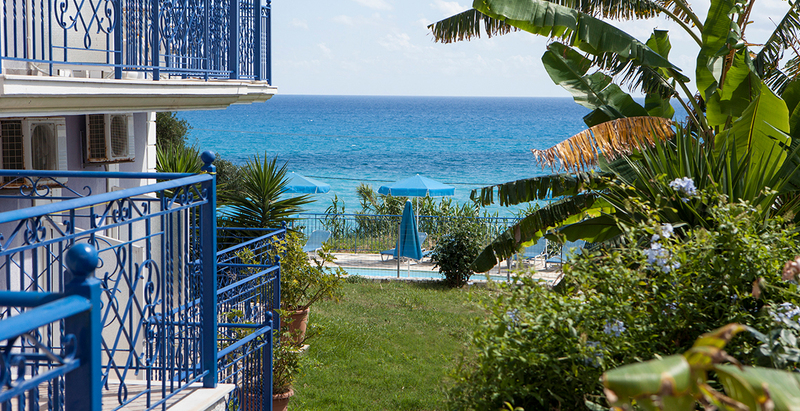 The complex is surrounded by a lush garden with various relaxing spots and features a magnificent swimming pool just above the sea and a private parking. Kefalonia is our favorite island, we visit almost every summer. The first time we booked in Waterside Studios, found ourselves in a wonderful, cozy room in a great location. Since then, my hubby and I always choose Waterside Studios to accommodate in Cephalonia. We stayed at Waterside Studios in beautiful Kefalonia for 7 days with my wife. The room was clean, fresh and in good condition. The staff was very kind and helpful with local suggestions. Would return on next visit. We spent a week in a lovely apartment in Waterside Studios and we were really pleased. The beach is in small walking distance and our room had the best view to the sea. The room was big, nicely decorated and clean. Just got back yesterday after a week at this seaside resort. For a nice, quiet and relaxing holiday by the sea, we really couldn’t have wished for more.